Find the perfect teacher or instructor in Mariposa for private drum lessons in your home or in their studio. Hi, there! My name is Alexa and I would be excited to be your drum teacher. I've been teaching private lessons since 2004 and have helped 100+ students become better drummers. I strive to make my lessons fun yet productive. If you are a beginner, you'll learn all the foundations for good drumming such as technique and rudiments..... while at the same time learning to play along to your favorite songs. If you are intermediate / advanced, we'll identify which areas of your drumming can be improved to make you a more well rounded musician. I went to Berklee College of Music and earned a degree in Professional Music in 2004 (GPA 3.9). I also attended the L.A. Music Academy from 1998-99 (now Los Angeles College of Music). 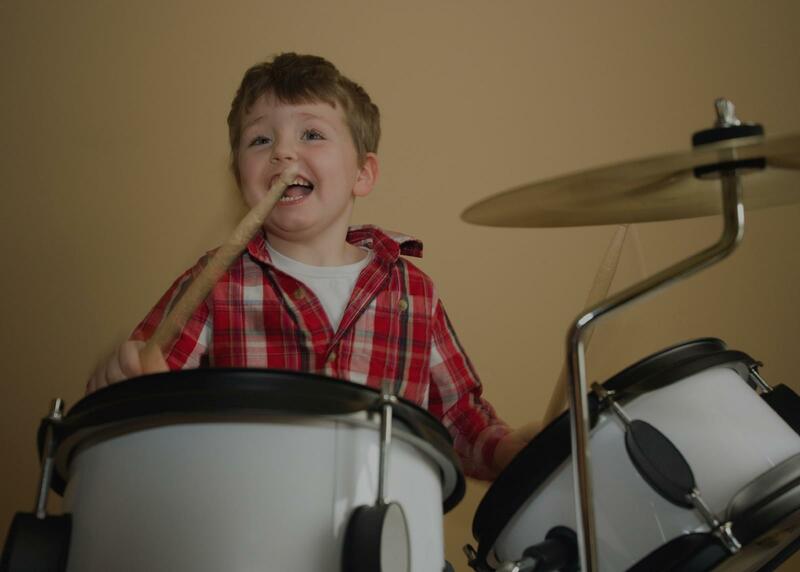 ur child) reach your drumming goals! I had a lovely first lesson with Alexa! She was patient, encouraging, and fun. By the end of the lesson, I learned something new, knew what I needed to practice, and was excited to go back for another lesson. WOW! My nephew was so inspired and excited after his first drum lesson with Alexa! She is so professional and knowledgeable ... and made the lesson so much fun! I wholeheartedly recommend her! I was a beginner drummer looking to learn a new skill. Alexa was a patient and extremely talented teacher. I looked at many different individuals before choosing her. I was trying to find someone who was educated in music through formal schooling (To have a strong background in the fundamentals who could actually teach me as an absolute novice) as well as someone that is currently performing (who Rocks !). I have seen her perform a number of times and she is truly talented. I felt so comfortable with her as a teacher (and a person) I also had her teach my youngest son (who was 11 at the time). A Berklee College of Music graduate, I am an internationally recognized drummer & capable of teaching a wide range of genres from jazz to pop. I’m a prominent teacher & performer in the Los Angeles area, working with artists such as Skylar Grey (Interscope Records), Katelyn Tarver (Universal Music), Ethan Bortnick (PBS) and many more local artists. As a teacher I have a lesson studio equipped for teaching both in-person and online private drum lessons. Using my experience I am able to cater my lessons to students of all abilities, be it brand new or a seasoned player. I shape my curriculum to fit the needs of each and every student I meet & my end goal is always with the goal of maximizing their creativity potential to its fullest. Hello friends! I'm a senior at the USC Thornton School of Music. My focus is drumset performance, but I also teach beginner piano and guitar. I have been drumming for 17 years and am currently gigging frequently with pop and rock acts. I also will occasionally be touring this year, so online lessons are preferred so that we can continue your instruction while I'm on the road! Please feel free to hit me with any questions before we start lessons! Hello! I have a Bachelors of Music at the USC Thronton School of Music, and I've been drumming for 18 years. At USC I've had the incredible opportunity to study with musical greats such as Ndugu Chancler and Patrice Rushen. They have passed down much of their wisdom, and I'm excited to share with you the knowledge I've acquired from them and my schooling at USC. I gig consistently around the Los Angeles area with artists such as BAUM, and I'm busy finishing my bands first full-length record! Just got back from an east coast tour with pop artist, Shane. My schedule will fluctuate with touring, but would love to make something work! Please feel free send me any questions regarding the lessons. I look forward to hearing from you! nd brilliant observer and expert analyst in developing technique. Every time I think I've got it, he makes some acute observation that brings it to a deeper level of refinement and nuance. And I've learned from him how crucial this refinement is to sounding good in everything you play on the kit. Beyond building the foundation of technique, with Paul you will learn various grooves in different genres, reading notation and drum charts, soloing and comping, as well as prioritizing and organizing your approach and having the right attitude so people will want to play with you. Lessons are always fun and inspiring, and Paul is patient and sensitive to individual needs. He also brings to lessons his experience as a professional drummer. I've seen him perform professionally in various styles: small jazz ensemble, big band, latin, rock, funk etc. And he always sounds great: solid and musical with a great feel. His combination of skill, experience, knowledge, profound insight and sensitivity make him an invaluable teacher for those interested in developing as an artist." sh a good relationship with his students. Kismat is extremely proficient in music theory, and makes sure my kid gets all the basics first. But at the same time he keeps his lessons fun with jam sessions to my sons favorite songs. Kismat is a very motivated teacher, and will even do online lessons when schedule and snow days are an issue. I would HIGHLY recommend Kismat as a music teacher. And by the way, have you seen Kismat performing live?! Oh man! Definitely catch his gigs around town. He will knock your socks off." rk with and makes everything about taking lessons more enjoyable. I highly recommend him regardless of your instrument choice." Very informative, easy to communicate with. Very positive and willing to work with my paise. Highly recommend Michael"
Los Angeles, CA teacher: Michael L.
echniques and that there is more to it than just banging sticks. Within these past two years, Mike built his confidence and gave him enough skills to go perform at his school's talent show. Each lesson my son comes out smiling and has a sense of accomplishment. He says his lessons are fun and that Mike is a cool teacher. Mike shows that he loves to teach and I couldnt be more pleased!!!!" rushed with the exercises, we always went at my pace. I recommend this teacher."